The Vineyard Gazette - Martha's Vineyard News | Yes, Coach! 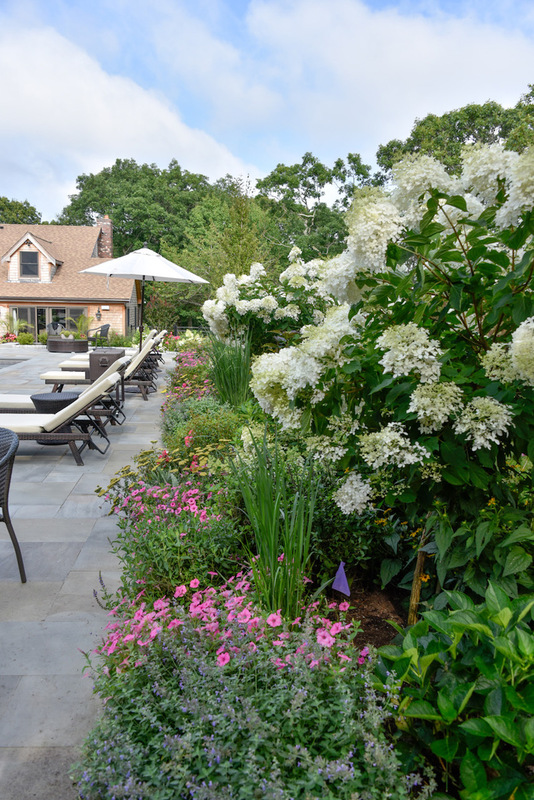 For Renee Clermont, landscaping is an art that takes place both in the garden and in the mind. 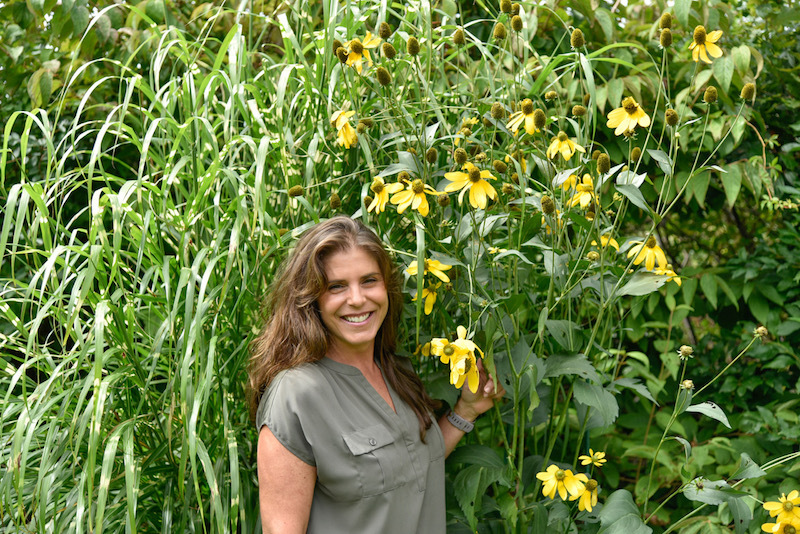 Owner of Second Nature Designs, she is a certified landscape designer, a professional gardener, and, to the delight of discouraged Island property owners, a gardening coach. Coaching was a talent she learned she had almost by accident when she was giving advice to a local landscaper on one of his jobs, and the owner came outside. 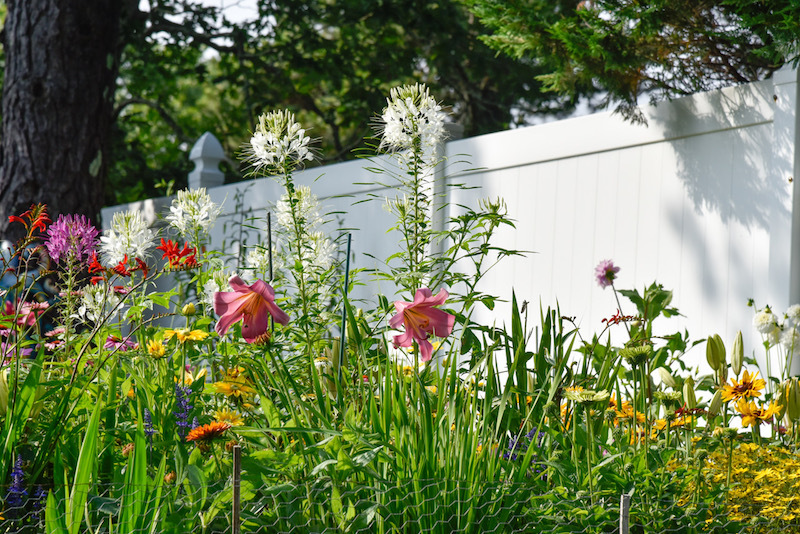 Renee did, and since then she’s helped dozens and dozens of gardeners identify their plants, tame unwieldy flowerbeds, and find a way to envision a better outdoor space. The sessions last about an hour, and in that time, she uncovers the potential under what may seem to be an overgrown, weedy mess. Learning where to begin is a challenge she is familiar with. Renee’s path to the gardening business was an indirect one. After high school, she got a degree in hospitality management, but soon found that it was not a field she was passionate about. During the off-season from her hotel job, she decided to go to school in Seattle to learn to become a floral designer, and returned to work at Donorama’s in Edgartown doing floral arrangements. There, she became fascinated with growing plants. “It all started with the cut flower, then I moved to the plant, then how the plant evolves into a garden,” she said. She founded a gardening business in 2003, starting with small projects, then decided to put herself through landscaping school in a dual program with Harvard University and the Boston Architectural College. She now manages three employees and has trouble finding free time, regardless of the season. When it comes to coaching, there are certain pieces of advice that she offers to all her clients who are at a loss. The first thing to do is define the space. She walks with her clients through their gardens. “I ask them, Where do you spend time? Where do you look? How many people are in your family? Do you entertain often? From there, once I get an idea of how they use their space, we can begin to define areas,” she explained. 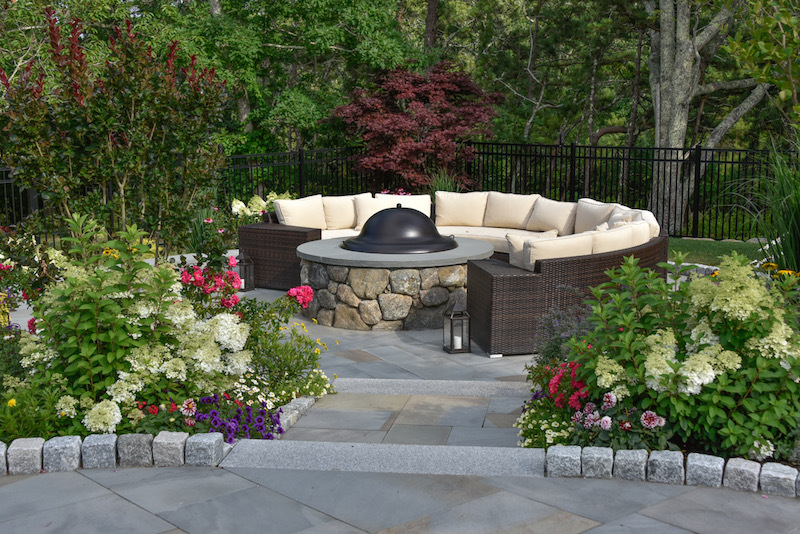 Quickly, the blurred lines between lawns and flowerbeds, relaxation areas and entertaining areas begin to come into focus. “It’s about delineating spaces to create some sort of unity,” Renee said. She also helps them identify the plants they already have and discuss what is working and what isn’t. Once there is an established mental picture of where the different spaces are, she helps her clients to find good plants that work for them. During this part of the process, one refrain she hears over and over again from rookie gardeners is, I just want something low-maintenance. 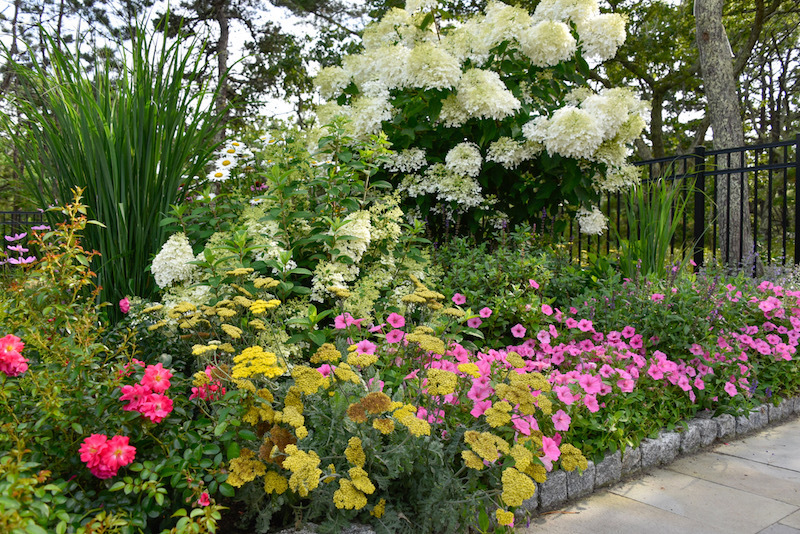 Some of her favorite plants are the bobo hydrangea, a hardy miniature version of the flowering plant, and panicum northwind, an ornamental grass that grows to about five feet. She also swears by salvia caradonna, or meadow sage. “That will give you a large first flush of blooms in May or June, and as long as it’s deadheaded, it’ll keep giving blooms all season long,” she said. She added that autumn is a crucial time for preparing next year’s garden. “Everything you’re doing in the fall is affecting the spring,” she said. That means giving the garden a last dose of fertilizer before plants go dormant. It also means resisting the urge to cut back hydrangeas and rhododendrons because they have already set their buds for next spring. She said fall is also a great time to buy and plant new things. “There are great sales at nurseries now, and there’s still enough time for plants to set their roots before dormancy,” she said.